Recently on our Twitter Account, we were asked a question about how to create new WordPress Posts from Twitter Tweets therefore we have decided to write this article to answer this question for all WPBeginner audience. We are going to use a plugin called Twitter Tools by Alex King to auto publish twitter tweets as New WordPress Posts. This plugin creates a complete integration between your WordPress blog and your Twitter account. Create a Category where you would like to post all your automated posts. You can name this category Daily Digest, Twitter, or anything you like. Go to the settings of Twitter Tools Plugin in your WP-Admin. Enter Your Twitter Username and Password. Enable the option to post when you tweet. If you do not want to create an individual post for each tweet, your solution is the next option. Select the category that you made in step 1, to post your tweets. Once you have done the above steps, you have completed the setup and its ready to go. The images are extremely dynamic and full of motion and are sure to bring back memories of similar types of movies or video games. Even when the image represented is not threatening, pay attention at how the slightest detail can represent a silent gesture towards hostility or unforeseen violence. Here are 50 incredible examples of battle art that we selected for your inspiration. Many of the concepts presented in classic carousel tutorials are the same, so this tutorial will not throw a lot of source code at you. The big difference here is that there are buttons to change panels and the panels zoom in and out. Send Custom HTTP requests & View the response. Free web tool: hurl. hurl is a free web-based application which enables users to send custom HTTP requests & view the responses. It can seem unfunctional at first but for anyone who is working with APIs, the service is a great time-saver to easily see the responses & develop accordingly. It is possible to add any number of headers to the request, define user-pass for HTTP authentication & set the request to follow redirects. 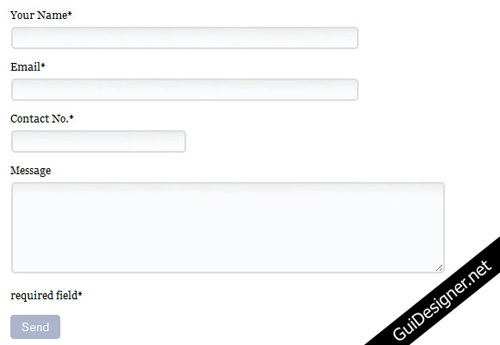 Make Mega drop-down Using Jquery, Best for designers & developers. Mega drop-down menus are not actually new, but more and more we see them on popular websites and blogs. With the ever increasing quantity of content on the web we have to figure out solutions to display content and navigation but still keep everything usable and provide a good user experience. It’s no wonder mega drop-downs are now used more often. Today we’ll take a look at creating a simple HTML site with a horizontal navigation bar where a menu item will have a mega drop-down attached to it. I used jQuery for the drop-down and some CSS3 for the rounded corners.